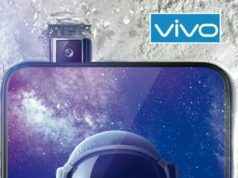 We are aware of the trending pop up camera concept that is featuring in Vivo, Oppo and also upcoming Nokia phones. However, the South Korean tech brand has brought a twist by featuring pop up rotating camera in the smartphone. The rotating camera is a very cool concept where the triple lens camera at the back slides up and rotates to take the selfies. This definitely is the primary highlight feature of the smartphone. The South Korean tech giant, Samsung, launched it’s new smartphone, Samsung Galaxy A80, at an event in Thailand. 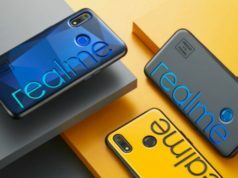 The company also revealed the availability of it’s last week launched Galaxy A70. Talking about the Samsung Galaxy A80, we found a very cool and interesting camera department in it’s new presentation. The other highlights of the Samsung Galaxy A80 include large full view Super AMOLED Display without any notch, newly launched Snapdragon 730G processor, 8GB RAM, 128GB inbuilt storage and 3,700mAh battery with fast charging support. The Samsung Galaxy A80 sports a 6.7-inch Full-HD+ Super AMOLED ‘New Infinity’ display with screen resolution of 1080x2400pixels and 20:9 aspect ratio without any notch design. The south Korean tech giant has brought a new variant of camera setup in the smartphone. In it’s invention, the company has brought a sliding pop-up triple lens camera which turns over with just a click. So, the company has dumped the front camera by introducing this new rotating camera concept. The rotating triple lens camera setup comprises of 48-megapixel primary sensor with f/2.0 aperture, 8-megapixel wide-angle secondary sensor with f/2.2 aperture and a TOF 3D depth tertiary sensor with scene optimization along 30 scene detection feature. 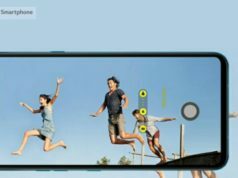 If a user wishes to take a selfie, all it does is click for the front camera option and the triple lens camera module will pop up and rotates to front for the selfie clicks. 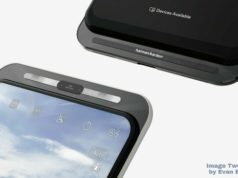 The smartphone runs Samsung’s One UI based on Android 9.0 Pie. 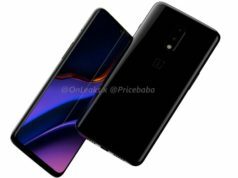 The device is powered by an Octa-Core Snapdragon 730G SoC, clocked at up to 2.2GHz, paired with 8GB RAM and Adreno 618 GPU technology. In terms of the internal memory, the smartphone offers 128GB internal memory with no option of memory expansion. This could be a drawback of this Smartphone as every android smartphone offers this option to the users. The smartphone is fuelled by 3,700mAh battery with fast charging support. 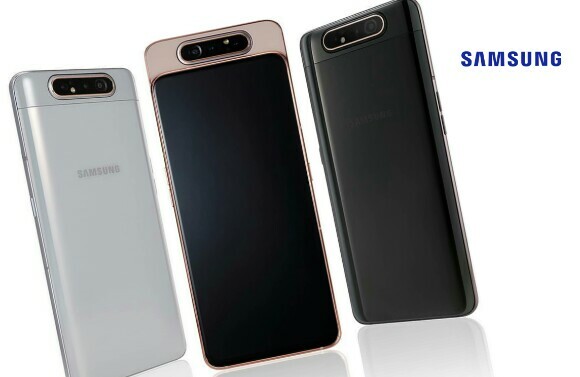 On connectivity front, the Samsung’s newbie offers dual 4G SIM support, WiFi, Bluetooth, GPS/A-GPS, GLONASS, FM Radio, Type C reversible connector and 3.5mm Audio Jack. The sensors onboard include fingerprint sensor, accelerometer, proximity, gyroscope and digital compass. 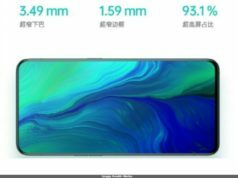 The smartphone bears the dimension of 165.2×76.5×9.3mm.